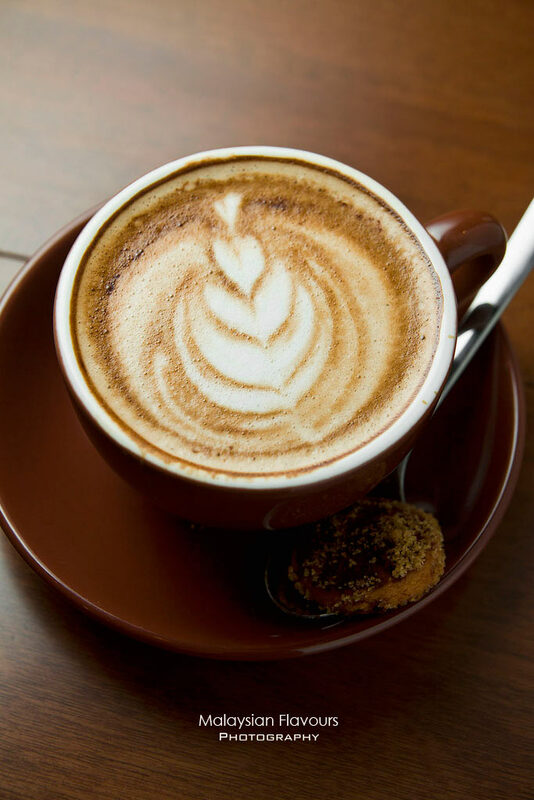 We lost count on the numbers of coffee places blooming around the town, and believes that the amount we have covered is less than 10% that has surfaced within KL and Klang Valley, not counting those out of this state. 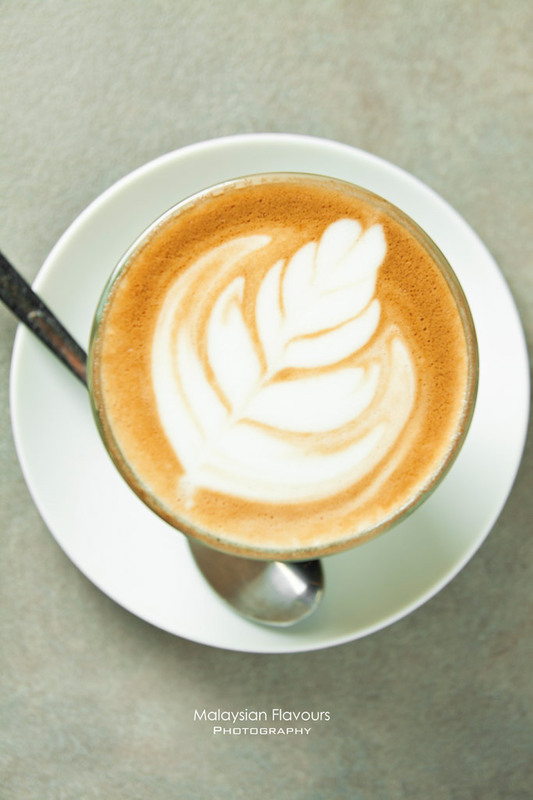 Our weekly coffee hunting goes on, but in the mean time, check out the 10 coffee places we have discovered. Keep this as guide if you have not visited some of them! 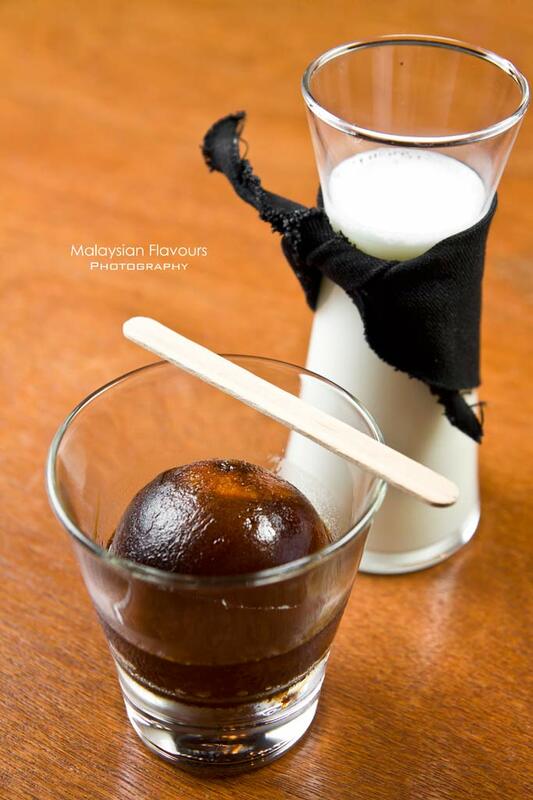 Read more on our 10 Coffee Places You Should Visit in KL/Klang Valley-Part 2 (HERE). Coffee Good Golly Miss Molly, one of the newest cafes opened in the first half of 2014. Good Molly Miss Golly… Good Golly Miss Molly… Miss Molly Good Golly… Mood Molly Good Golly…STOP. Remember C-GG-MM, One C double G double M to get this tongue twisting cafe name right. Check out for their coffee filled in Cutie Cat cup, sizable enough to fit 2. Pair your coffee with their best selling cakes-Rasberry/Lemon cheese, Red Velvet, Carrot & Banana Peanut cake. Hot Shots Coffee & Tea at Publika is one of the earlier coffee places in town. 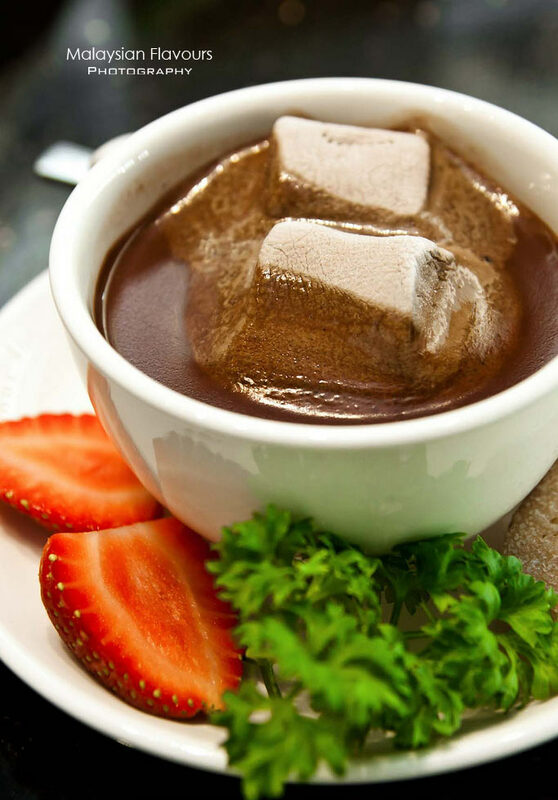 From starting till now, the cafe still preserves the good quality of every cup of coffee they serve, and the Seriously Rich Hot Chocolate here is noteworthy- serisouly rich, thick and chocolaty as it is named, with fluffy, mellow marshmallow floating on top . The only downside is the cafe opens on weekdays till 6pm. Public holidays? Follow their Facebook to know. Feeka Coffee Roasters KL located at Jalan Mesui KL is one of the most raved about coffee places recently, quality assured with the enthusiastic team from Butter+Beans at Seventeen, Happy Mansion, PJ. Cable spool table with yellow colour lazy chairs; white chairs with black table and wooden bench; exaggerate cushioned chairs in leaves’ pattern with dark oak, oval shape colour coffee table; fresh plants in bottle; a stretch of wall painted to have brittle finishes, etc…bits and everything here strives to be bold, putting unmatched combinations into incredible matching. Spend your weekend breakfast here by pairing a cup of lovely cappucino together with Scramble Platter, something that highlights lamb sausage. Here, artisan pizza takes the limelight. You get your pizzas, sandwiches and pasta are baked in constant 600 Fahrenheit, the best temperature to produce a good pizza, in a wood-fired stone oven, assembled from bricks important from America. At the same time, Fahrenheit 600 aims to bring coffee as the restaurant’s centerpiece through quality beans and excellent barista skills! Located in the more quiet alley of Desa Sri Hartamas, Cafe Olle is run by Korean, specializes in coffee with healthy sandwiches, simple pasta and wholesome breakfast platter to sum up their food menu. Everything here goes simple and homey from the food to the design. 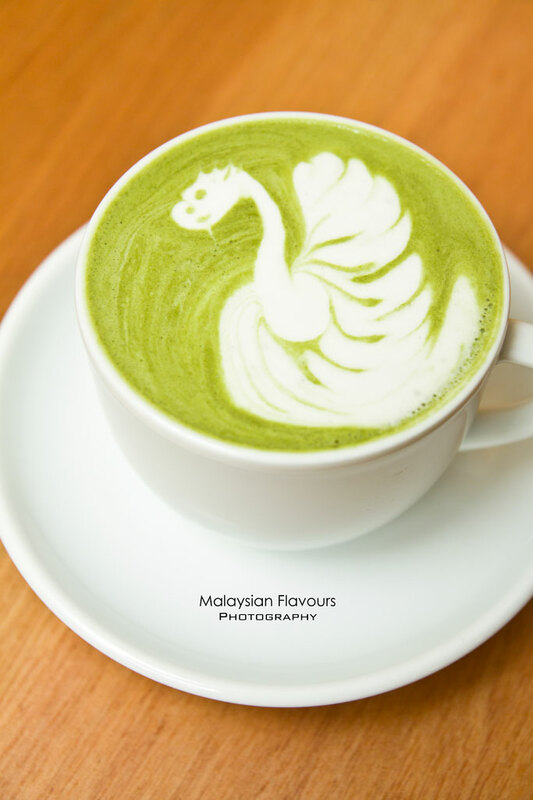 Coffee here goes light, green tea latte is intensified with sweetness but we like the way they serve our coffee- coffee art which is more than just the shape of love and rosetta. Cake or coffee? Cake and coffee? How about cotton candy coffee and cake? Sounds different huh. Now you have more reasons to visit this Oh Scooter Cafe before many other coffee places mushrooming around, for they have cotton candy coffee. (*and..scooter). 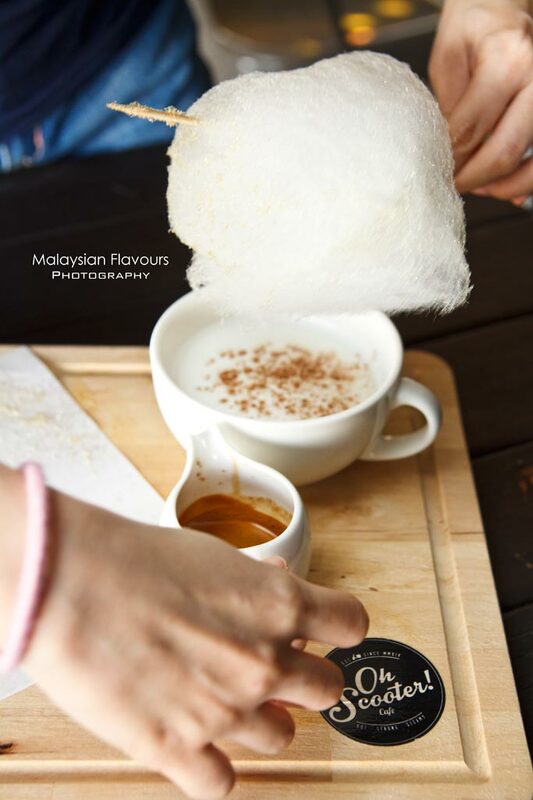 Here, enjoy your coffee in a new, reverse way, with cotton candy. Espresso, frothed milk and cotton candy are served separately. The combination of all brings a good balance in taste, velvetly smooth and creamy. Sweet as it reaches your lips, easily run down your throat in a pleaseant, clean, and feathery feeling. 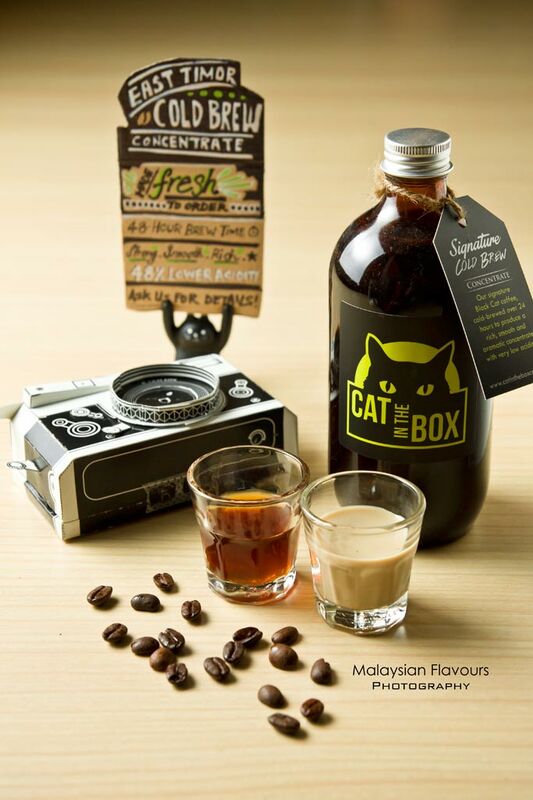 Cat In The Box started off in the form of mobile coffee service, and now makes into a brand new move with a permenant kiosk inside The Centre for Asian Photographers, The School, Jaya One. 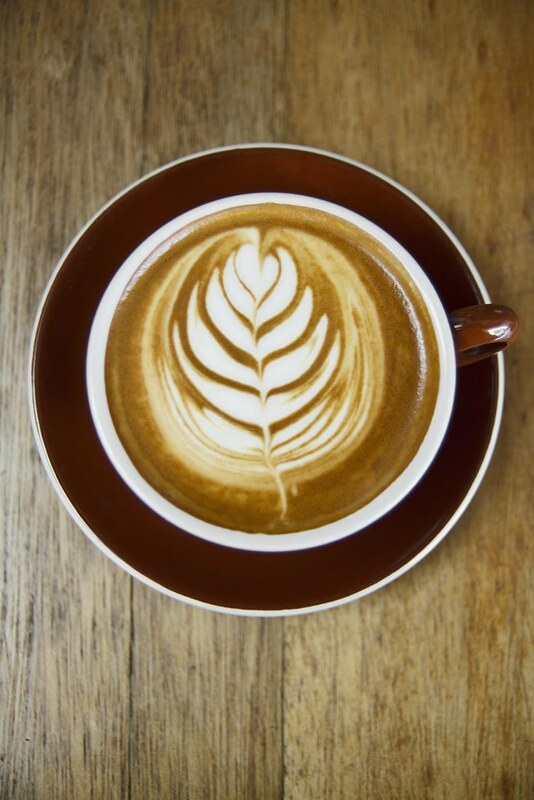 The cafe uses East Timor coffee that is notable for rich, nutty, with bold chocolaty flavour. Cold brew is highly recommended, where these coffee with a reduce of 48% acidity is smooth to the palate, easy to drink. Take a sip to their no milk cold brew-Signature Black Cat Cold Americano; or cold brew with milk-Signature Black Cat Cold Brew Latte. Besides, do not leave the cafe without trying their Mocha Fusge Brownie, it is so fudgy, so moist, so thick and so rich! Yummy! [NOTE] Cat In The Box has been relocated to Empire Damansara, so check them out at Lot 111 Heritage Lane, Empire Damansara, Jalan PJU 8/8, Damansara Perdana, Petaling Jaya, Malaysia. Brewmen at Solaris Mont Kiara is opened by Jeremy, a young and handsome entrepreneur who focuses in delivering the best coffee in town, utilizing various brewing techniques to capture the best quality and characteristic of each beans. Here, you will have filtered coffee, cold drip, cold brew apart from the usual milk base coffee; and also unique creation for adventurous coffee lovers- chilli infused coffee. Power up your day with Reverse Latte, a cold latte that packed four shots of espresso into a frozen, round shape ball. Food choices are limited, but the Choco-Coco-Nana surprises us with crispy edge, fluffy soft center waffle smothered with nutella jam, topped over with banana and vanilla ice cream, garnished with desiccated coconut. Thumbs up. The buttery aroma of croissant and lovely fragrance of coffee fill the air as you walk into Butter + Beans at Seventeen, Happy Mansion, Petaling Jaya. Business is always at brisk, and we are always there for only two things, the fluffy and buttery croissant and a cup of velvety smooth cappucino, or latte, sometimes. Staying in KL and feel the place a little far? No problem. You can hop over to Feeka Coffee Roaster at Jalan Mesui, which is also run by the same management. 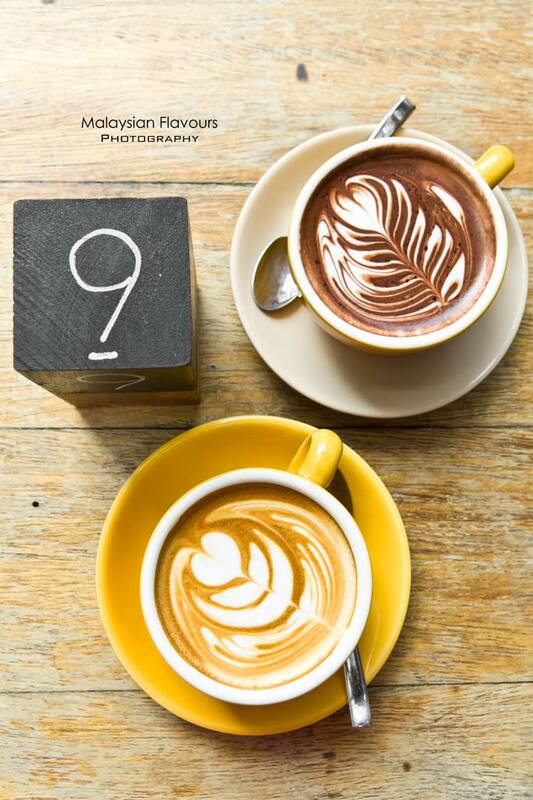 J&D espresso at Bandar Utama PJ is already featured in some of the best lifestyle magazines in town such as Flavours, Coffee T&I and Time Out KL within just few months since the cafe was launched. Good coffee and great food draw the crowd, either for breakfast, lunch, dinner or merely teatime coffee. Their latte at J&D Espresso showcases smooth and milky sensation with a sweet note, conclude to a cuppa of easily enjoyed coffee with mild bitterness. Upside Down Apple & Almond Pudding is a must-have in J&D Espresso, moist and dense with sweet butterscotch sauce lacing over, covered with a rich chocolate top. Do check out their Lamington Cake too, a Australian favourite that can rarely find in Malaysia. Thanks for reading! 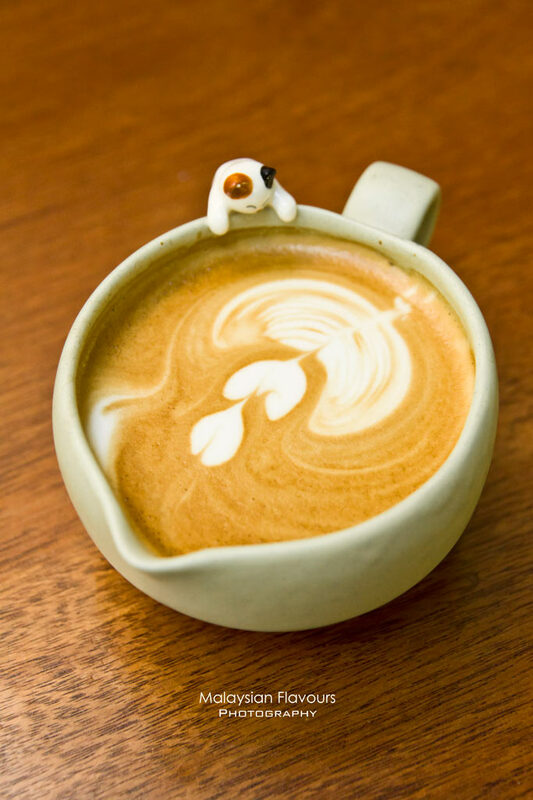 We’ll sum up more coffee places we have tried out in future!